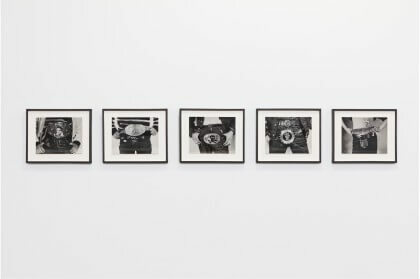 Swiss Institute proudly presents the first institutional exhibition of vintage prints by the late Karlheinz Weinberger (1921-2006). 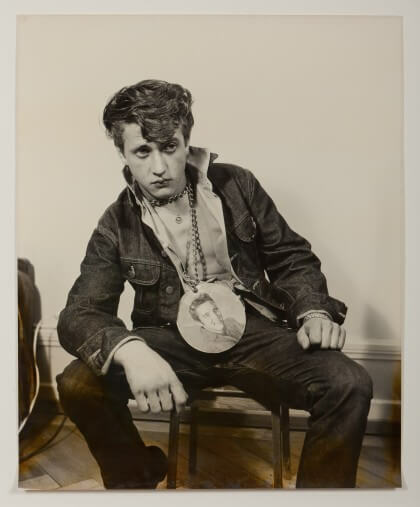 An unsung pioneer of vernacular photography since the Fifties, Weinberger captured a young generation of rebels, who were greatly influenced by American culture. For most of his adult life, Karlheinz Weinberger worked by day in the warehouse department of the Siemens-Albis factory in Zurich. In his free time, however, he escaped monotony by immersing himself in photography. 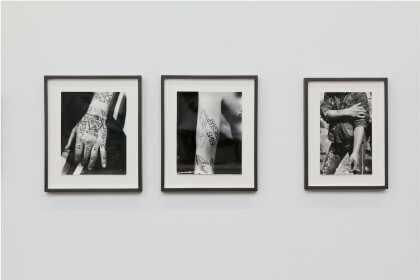 Self-taught and working under the pseudonym of Jim, Weinberger began his artistic career by taking pictures for a gay underground club, Der Kreis, which published the eponymous magazine. 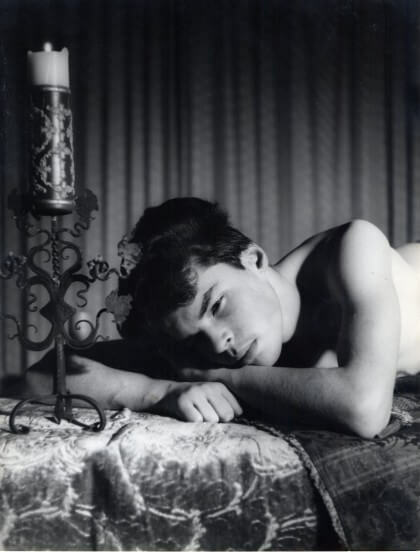 In 1958, Weinberger met members of a small band of teenagers and began photographing them both at his home, as well as at the public parks and fairgrounds where the group gathered. 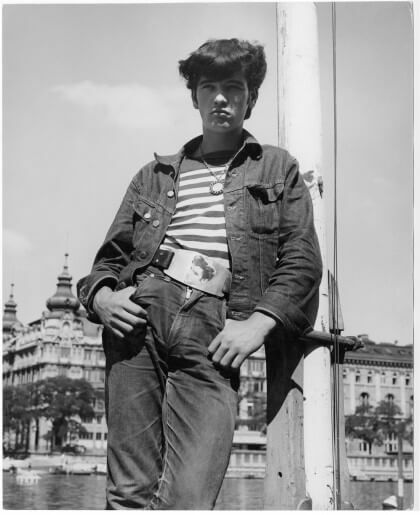 In post-war Switzerland, these self-named “rebels” (referred to by the Swiss as “Halbstark” or “half strong”) were comprised of working class boys and girls dissatisfied by the conservative climate of the day. 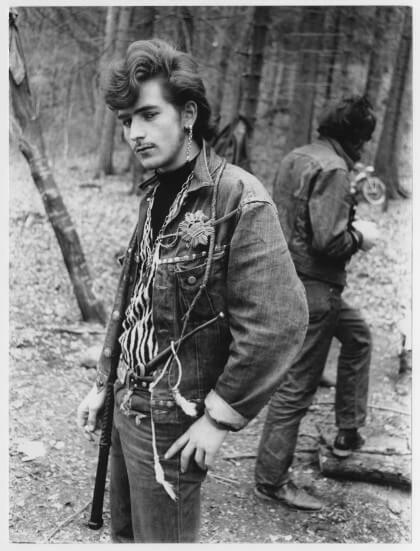 They adopted a powerful gang identity expressed in their self styled and homemade clothing–embellished jeans, motorcycle jackets, enlarged belt buckles–which referenced and emulated American icons Marlon Brando (in The Wild One), James Dean (in Rebel Without a Cause), Elvis Presley (in the film and album Jailhouse Rock). 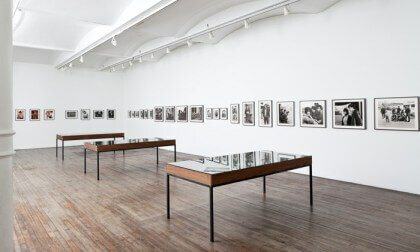 The clandestine phase of Weinberger’s work is the impetus behind the exhibition at Swiss Institute. 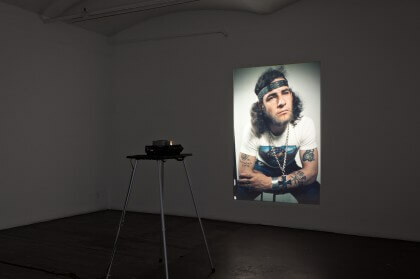 Weinberger inhabited the role of an intimate stranger, capturing the unfiltered attitude of a generation while processing and developing the objects of his gaze in his home photo laboratory. 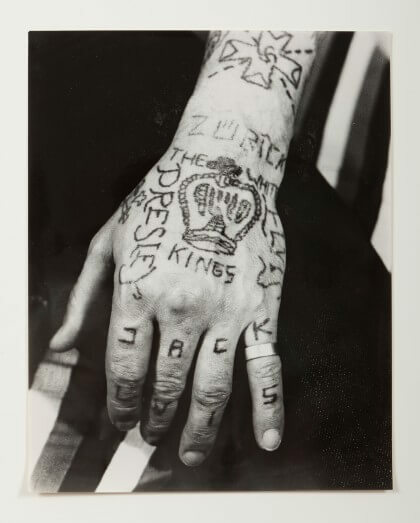 Although created decades ago, Weinberger’s photographs have remained accessible to a relatively small group of people. They were not meant to be artworks, rather they are vestiges of a personal obsession. Beyond the documentary value of Weinberger’s work, his photos, in their triumph over objectivity, are a genuine contribution to the history of portraiture. Image: Karlheinz Weinberger, Zurich, ca. 1962.